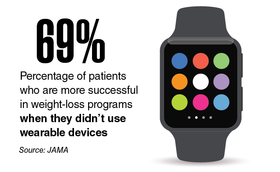 Wearable monitoring devices are supposed to encourage a more active lifestyle and empower people to lose weight. Medical researchers are beginning to cast doubt on those claims. Download the PDF.